Join the Society of Yukon Bird Observatories (SOYBO) for a screening of the critically acclaimed documentary The Messenger at the Beringia Centre in Whitehorse. 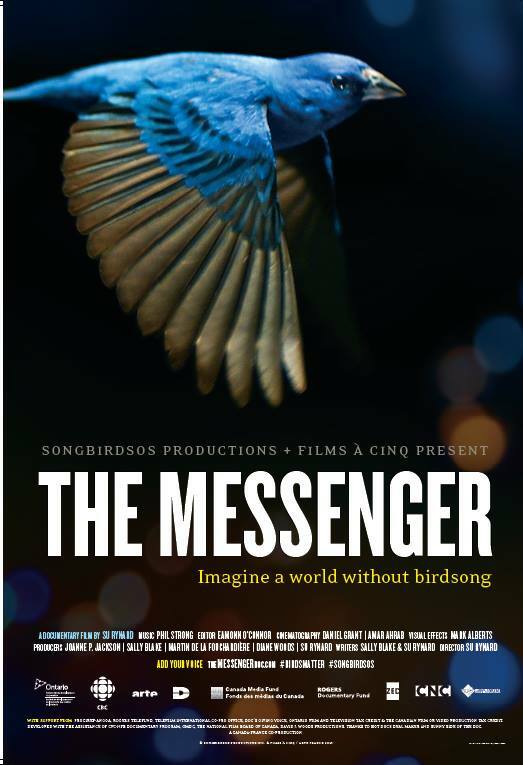 Visually stunning and thought-provoking, The Messenger is an exploration of humanity’s deep connection to birds and the effects human-made hazards have had on their populations. Pre-purchase tickets only. Tickets are available by email (yukonbirdobservatories@gmail.com) or in person at Elements Hair Studio and Day Spa in the Best Western Gold Rush Inn on Main Street. Tickets are $20 each ($10 for current members of SOYBO). The Messenger is a documentary about the decline of songbirds.